I know today’s guest poet well. She’s my mother and happens to be the most selfless person I’ve ever met. 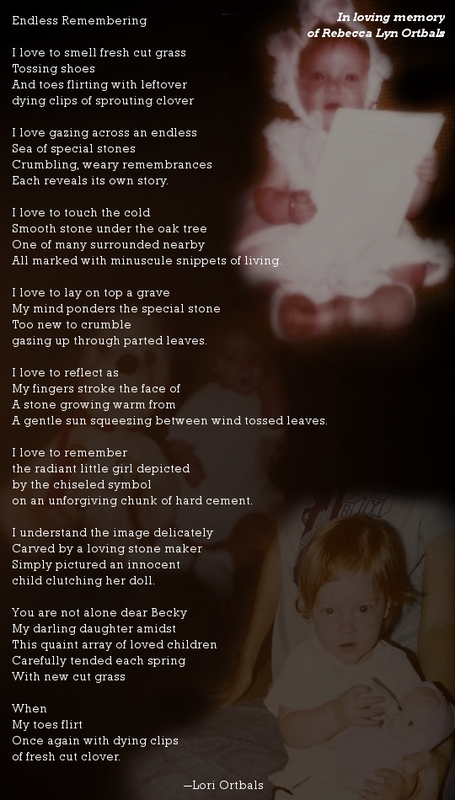 Let this poem be a reminder that love abounds in multiple forms: the love for yourself, the love for a partner, the love for a friend, the love for a parent, the love for a sibling, the love for a daughter, and the love for a memory glistened in tears of bittersweet heartache. Today as you eat your candy hearts, don’t forget to also love the one beating inside your chest. My mom, Lori Ortbals, founded the Missouri Chapter of the Children’s Heart Foundation in 2010 in memory of daughter Rebecca Lyn. 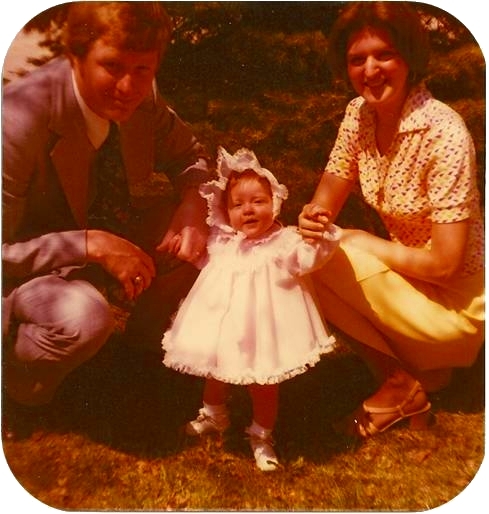 Becky died of a congenital heart defect at 16 months old. Lori started the chapter with the hope that no other parent would have to feel the loss of burying their child from a CHD. All funds raised go directly towards research to develop new technologies and techniques to save lives like Becky’s. When she’s not volunteering at a fundraising event or running board meetings, my mom enjoys spending time with our family, cherishing every moment to its fullest potential. She’s an avid reader, moviegoer, and superhero. Tears! I wish so much to be spared the experience that was the motivation for this poem. Thank you Leanne for sharing Becky with the world. She would have loved having you for a little sister. It’s my pleasure to share your beautiful words. They tug at all our hearts. You truly are a hero, Mom, and the most loving person I know. What a great deep moving poem. You have an amazing mum! thanks for sharing this. I think so too. I’ll let her know with a hug.